For years, I was an amateur. I can honestly claim ignorance. I didn't know any other method of stalking blogs than bookmarking and checking them once a week (most bloggers seemed to update their blogs that often). For the first couple of years, I had about 10 blogs that I checked in on weekly, and that list continued to grow quickly as I found myself reading blogs that we're popping up on the blogs I had bookmarked. The major downside to all of this, was that I missed out on a lot. Giveaways were happening on days I wasn't checking, and more importantly, I just wished I had some sort of notification that would let me know when a blog had a new post. 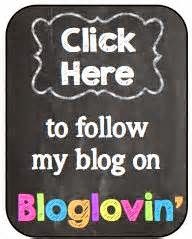 Once I started this blog, I found that in Blogger (the free blogging site most teacher bloggers use) I could just add the blogs and it would show me any unread posts of the blogs I was following on something called a "blog roll." Then, a few months later, I kept hearing about Bloglovin. So, I checked it out. Bloglovin is a free site that let's you add blogs you follow and then shows you any unread posts. You can easily scroll through and decide which posts you want to read or save for later. I check my Bloglovin account at least once a day to catch up on my blog reading, and usually have about 10-20 posts to read. To be completely honest, I usually skim a lot of posts. I'm a visual person, so if a post is particularly wordy, I find myself not really reading and instead, focusing on the photos or products being featured. I'm probably missing out on some great information, but I don't have a lot of time, so I use my college reading skills! Step 1: Sign up for Bloglovin (if you have Facebook, you're pretty much set). Click the button and it will take you to that blog's Bloglovin page where you can click Follow and then you'll see the posts from that blog from now on. And voila! You now can simply check your Bloglovin page and scroll through your unread posts from the blogs you follow, as well as easily add any new blogs you come across to your list!